Where can I found GPSies in Locus? 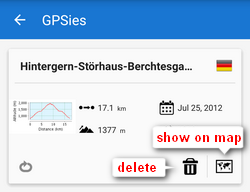 With GPSies you can view and download tracks that have been recorded by a GPS device. 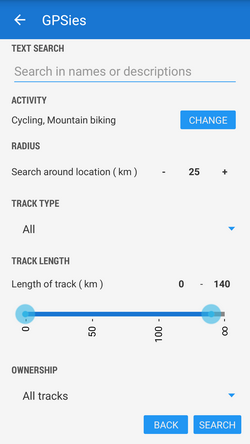 Whether you are searching for running courses or Mountain Bike tracks, with GPSies you can see which tracks others have recorded. 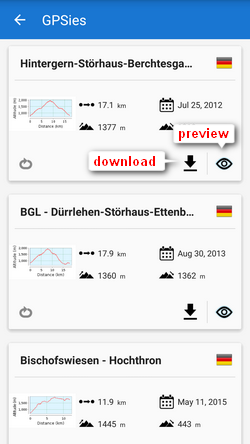 And you can download them all and import them into your Locus Map so you can use them for navigation. And it's free! 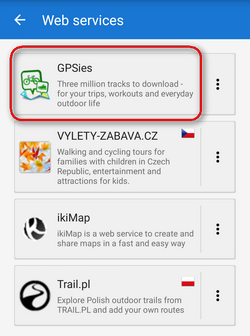 GPSies is among other supported web services - in main Menu. 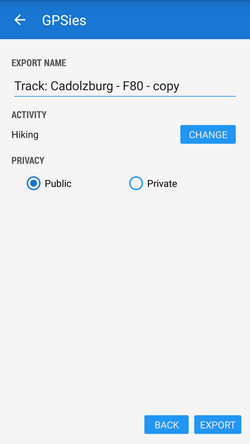 In order to use this service you have to be registered in it. 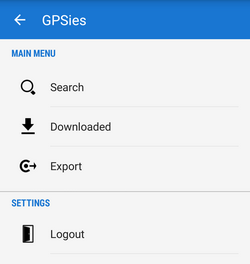 If you selected to download a GPSies rack (not import), it can be found in Map items in a special GPSies folder. 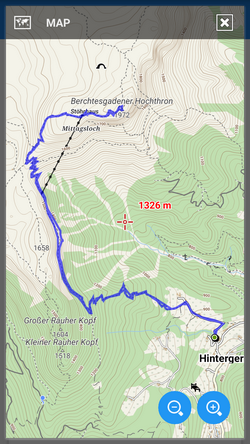 The red-highlighted tracks are visible on map. 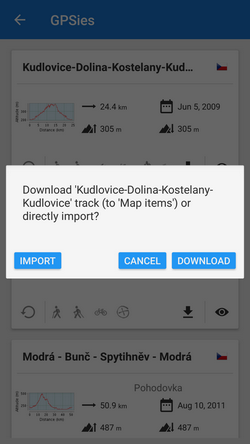 The tracks can be imported into core Locus track database or deleted. 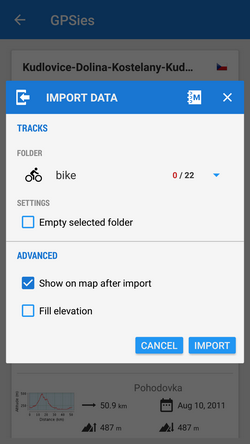 If you imported the track, it appears in the folder of the Track manager you defined during the import. As such can be handled as all your other personal tracks and routes. 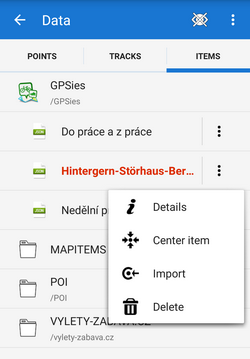 Tracks can be exported to GPSies.com directly from the Locus Map tracks tab as is described in track export chapter.